Lakota John is an old soul with a love for the blues. “Pembroke’s Lakota John Locklear is a prodigious blues guitarist of Lumbee and Lakota lineage–Indy Week”. 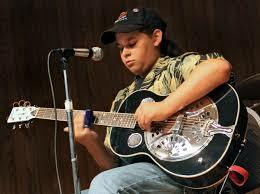 From Robeson County, North Carolina and born in 1997, John Lakota Locklear is no stranger to music. He grew up listening to his dad’s music library and at 6 years old, he picked up one of his Dad’s old harmonicas and at age 7, his first guitar. This lefty learned to play guitar in standard tuning and was intrigued by the sound of the slide guitar. At age 10, he bought himself a glass slide, placed it on his pinky finger and he has been sliding over the frets ever since. Lakota John started performing in 2009 and has repeated performances at the NC Museum of History; The PineCone Music Series; Shakori Hills Music Festival; IAIA Music Festival; the North Carolina Indian Heritage Celebration; New Mexico State Fair, and many more. 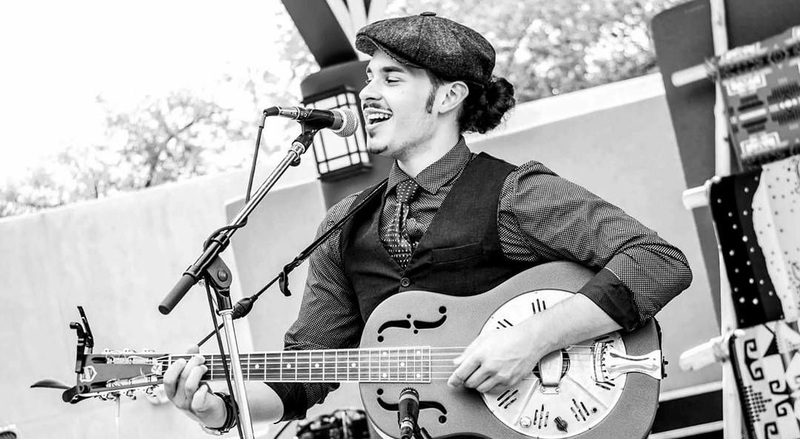 He is a 2015 NAMA Nominee (Native American Music Awards) and has opened up for and shared the stage with Native American Blues Artist, Pura Fe; Blues icon, Taj Mahal; Native blues rocker, Keith Secola; Scott Ainslie, Blues Historian and Musician; Cary Morin, Native American Blues Guitarist and mentor; the Jeff Sipe Trio; Legendary Bluesman Mr. John Dee Holeman and the South Carolina “Blues Doctor” Mr. Drink Small. Lakota John continues to learn alongside the elder bluesmasters, carrying on the traditional sounds of the acoustic Piedmont to the electric blues guitar styles and preserving his heritage with songs from the Native American flute. Some of his musical influences include Blind Boy Fuller, Reverend Gary Davis, Duane Allman, Johnny Winter, Robert Johnson, Taj Mahal, Jimi Hendrix, Derek Trucks, Jesse Fuller and many-many more. 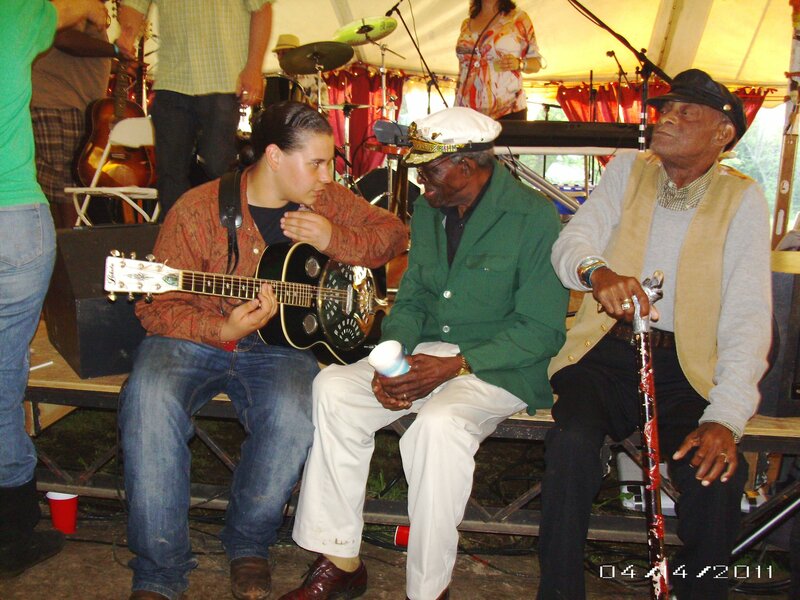 Lakota John received two scholarships, 2008 and 2009 to attend Centrum’s Acoustic Blues Festival in Port Townsend, WA, where he participated in a week of guitar workshops and jam sessions with the late John Cephas, Phil Wiggins, Terry “Harmonica” Bean, Jerron “Blind Boy” Paxton and many more. 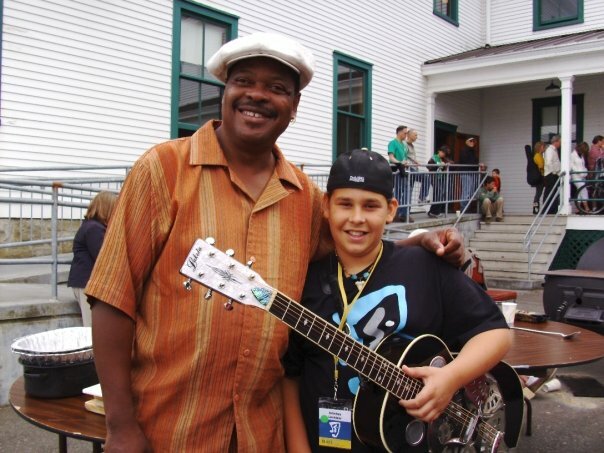 In 2009, he released his first CD “Old Bluez That’s Newz to Me” and shortly after, Music Maker Relief Foundation began working with the guitar prodigy, Lakota John, as one of their “Next Generation Artists”. 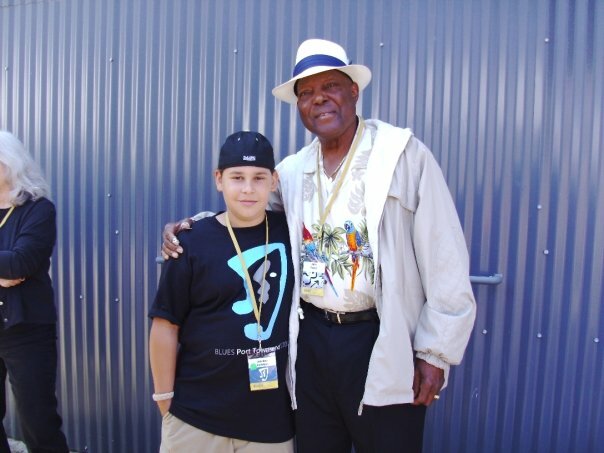 Humble thanks to Pura Fe, blues musician and mentor, for the introduction to the Music Maker record label. – Lakota John conducts workshops and gives private lessons to anyone from beginner to advanced levels.